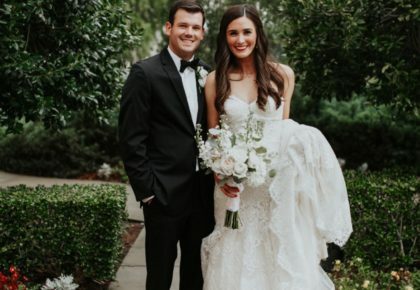 Lauren and Kevin became friends while attending the University of Oklahoma. 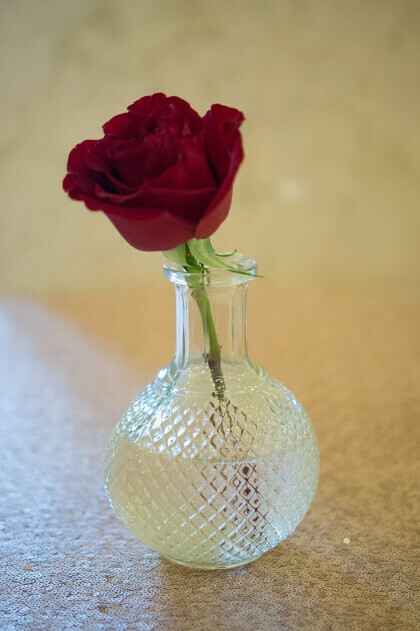 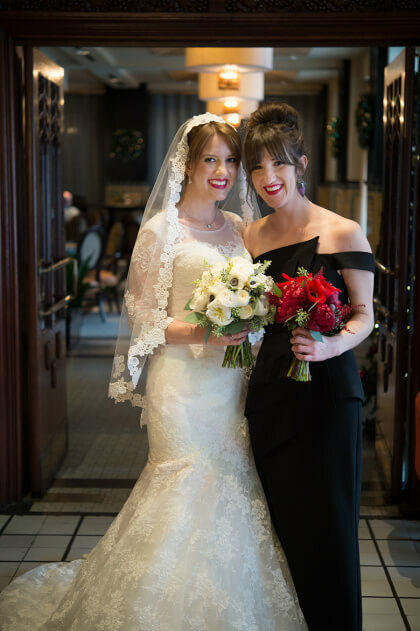 A few years after they graduated, the pair was reconnected by mutual friends and began dating. 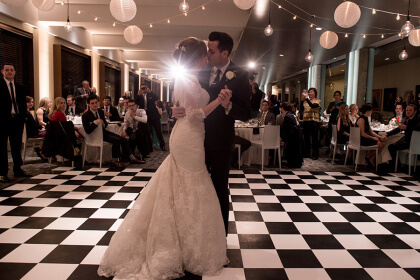 At the time, Kevin was living in Los Angeles and Lauren was finishing law school at OU. 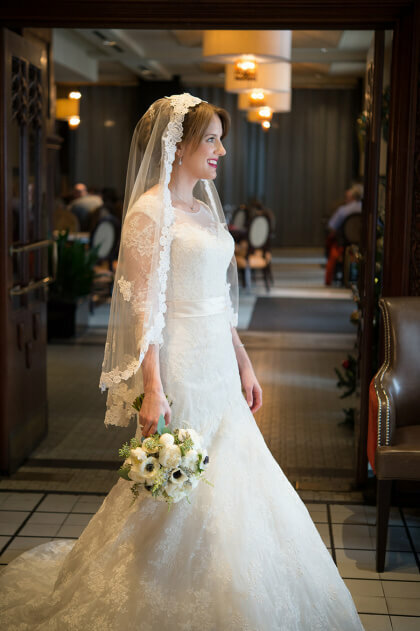 After she graduated, Lauren relocated to the City of Angels. 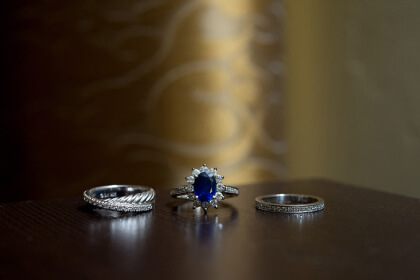 A few years later, Kevin proposed with a beautiful sapphire and diamond ring from BC Clark Jewelers while they were hiking their favorite California trail in Griffith Park. 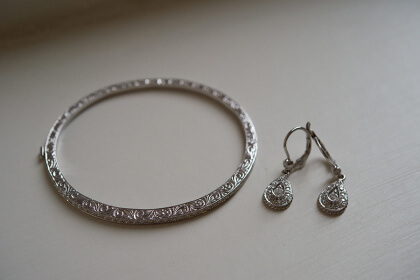 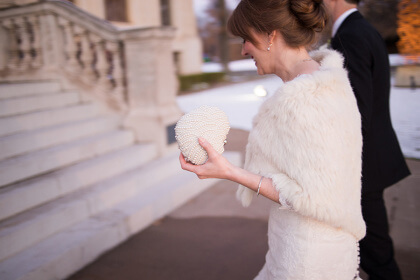 Lauren had always dreamed of a winter wedding, so they set the date for the following December. 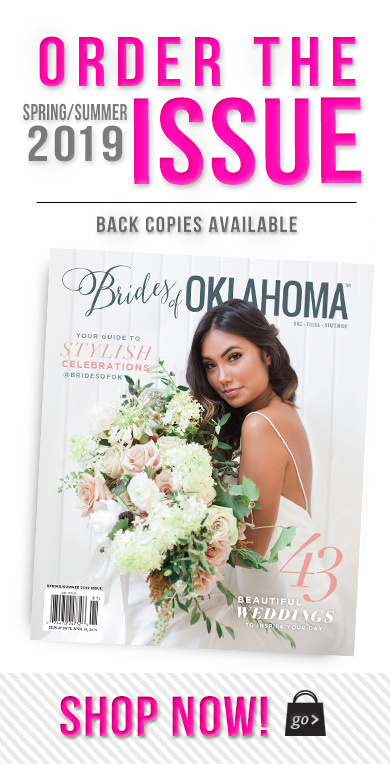 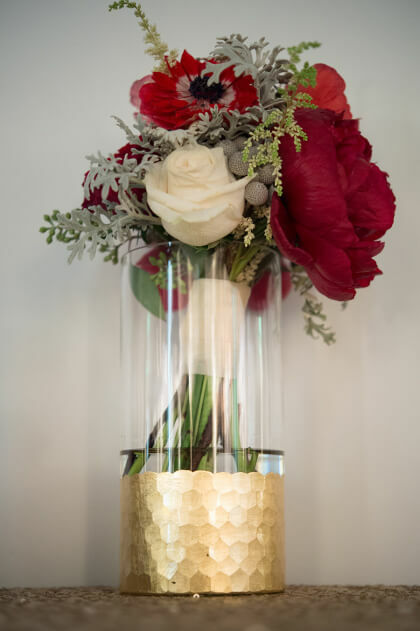 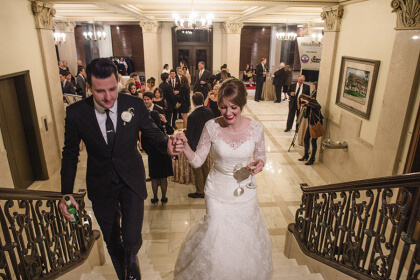 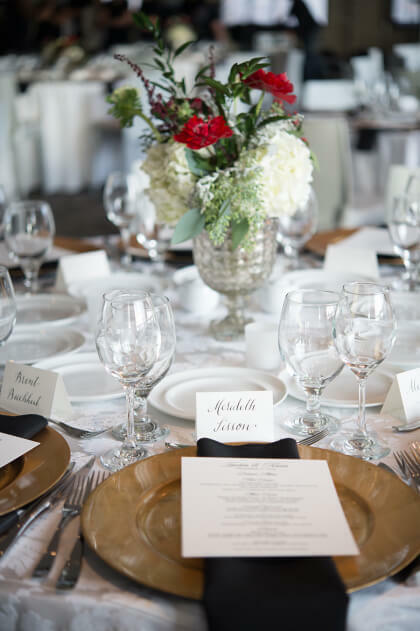 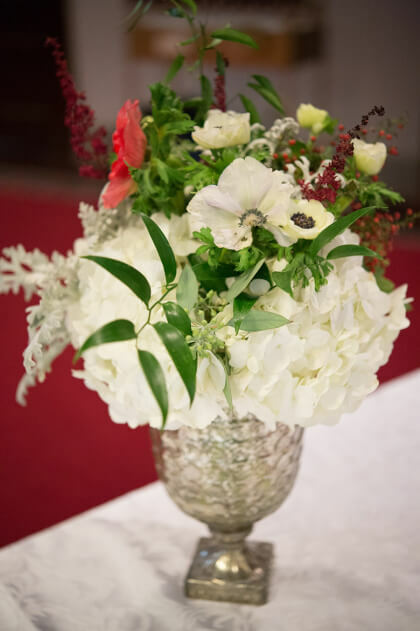 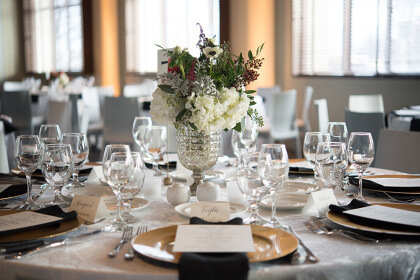 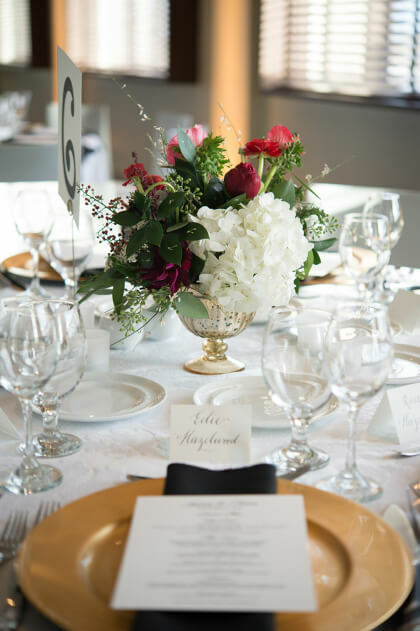 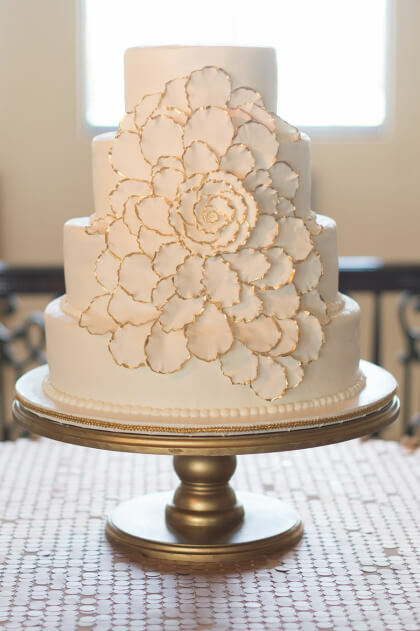 Oklahoma City will always be home to the couple, so they were married at St. Joseph Old Cathedral and held their reception at the Gaylord-Pickens Oklahoma Heritage Museum. 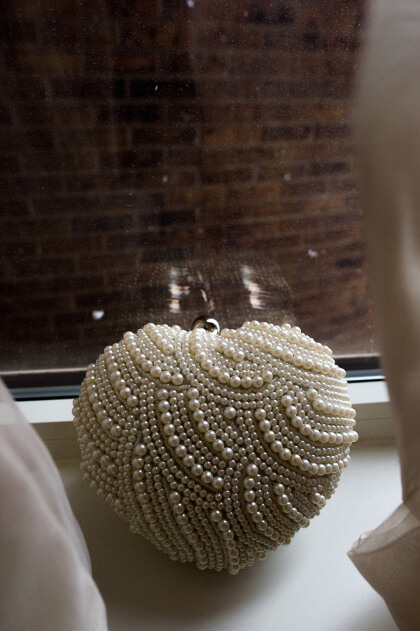 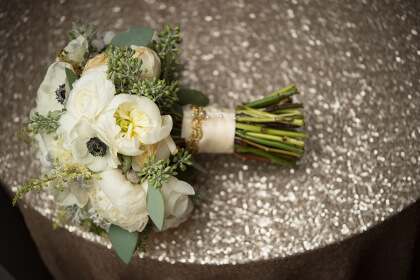 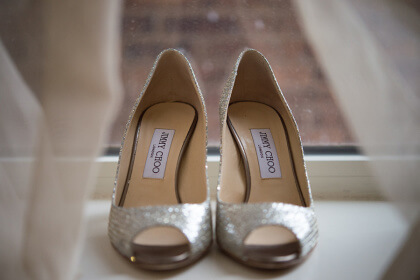 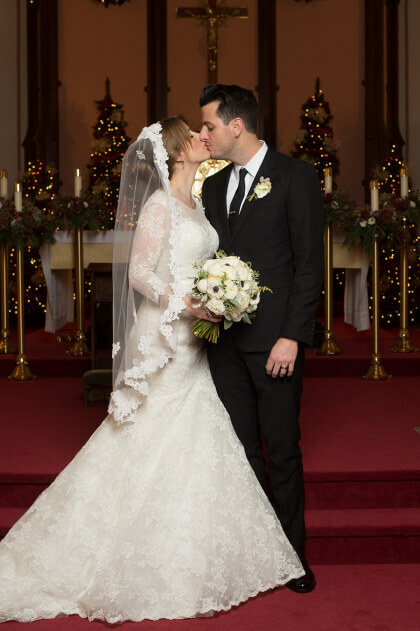 It snowed more than three inches on their wedding day, which made for a romantic, sparkling setting. 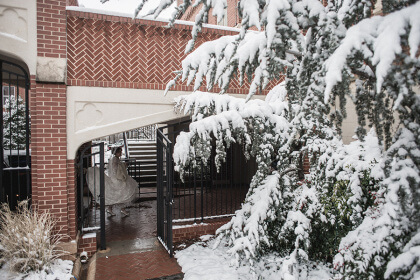 Because of the blankets of snow, the couple won BC Clark’s “Pray for Snow” contest. 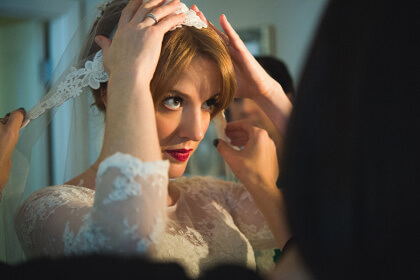 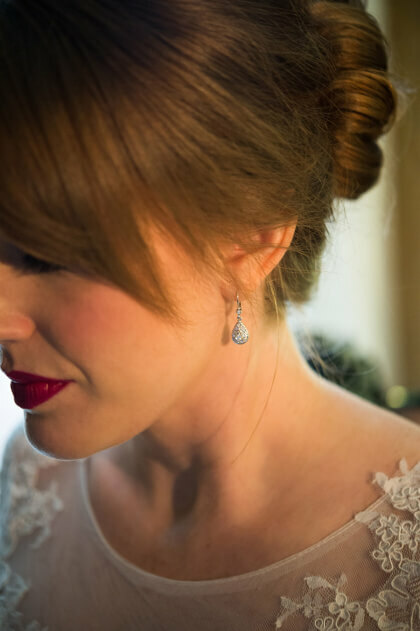 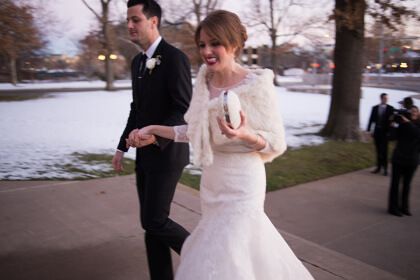 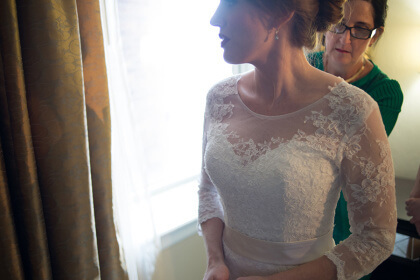 Lauren wore her mother’s beautiful vintage lace veil and heirloom fur over a customized Claire Kennedy Design gown. 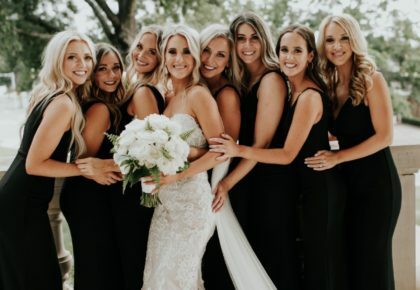 Her bridesmaids wore black cocktail dresses of their choice. 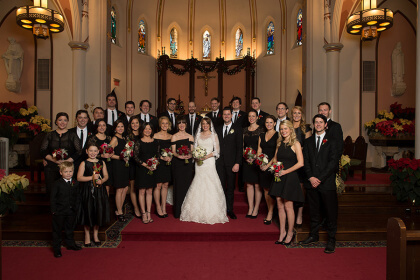 Kevin and his groomsmen wore black suits with Oklahoma City Thunder-themed dress socks. 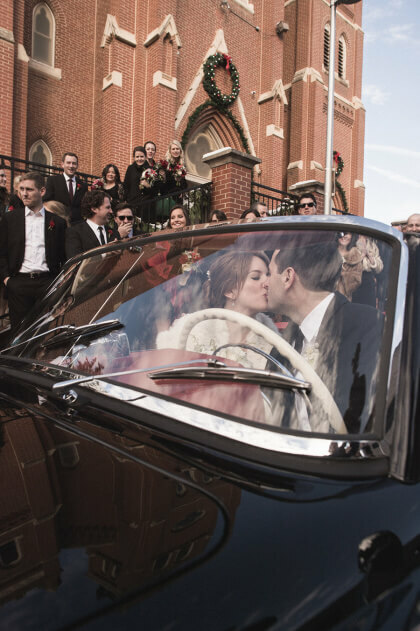 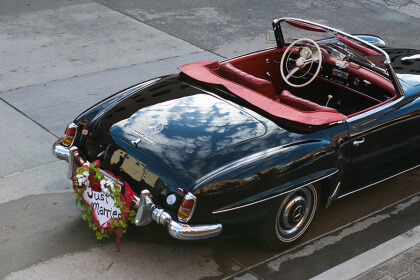 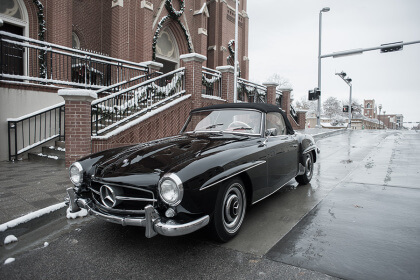 Following the ceremony, the couple made their exit in a 1961 Mercedes-Benz roadster borrowed from dear friends. 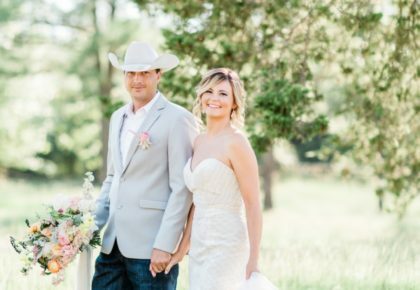 Family, friends and local vendors created an incredible day for the couple. 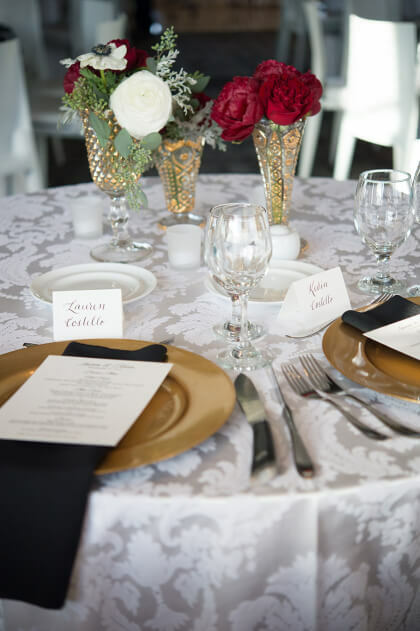 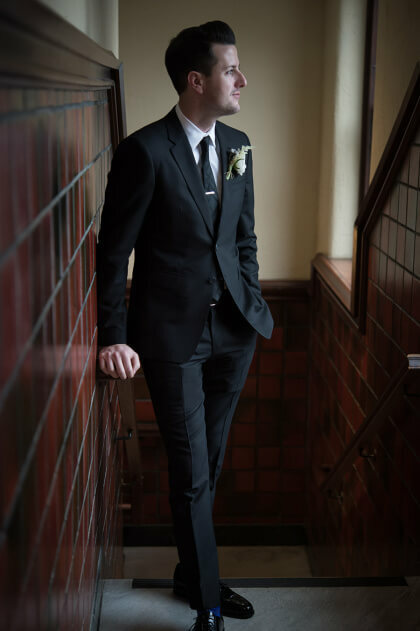 Since Kevin is a screenwriter, Lauren wanted their wedding to have a touch of Old Hollywood glamour. 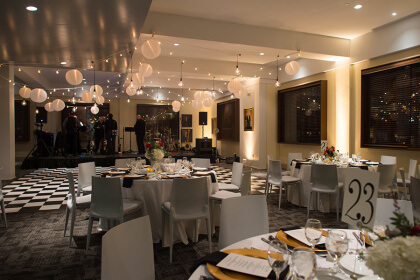 Emerson Events executed this vision beautifully, designing and coordinating their reception. 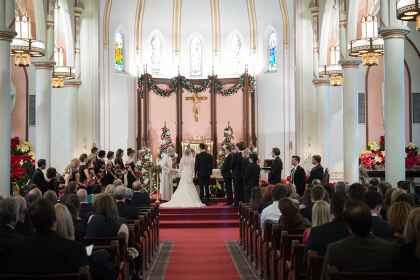 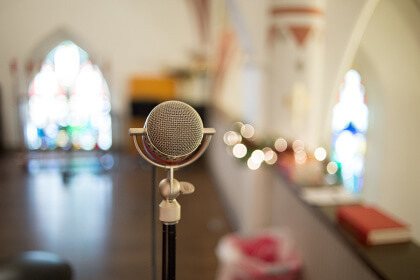 Kevin’s sister and local musician Clare Costello performed the couple’s wedding song. 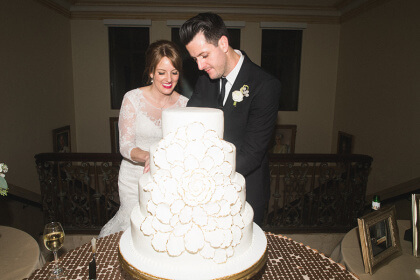 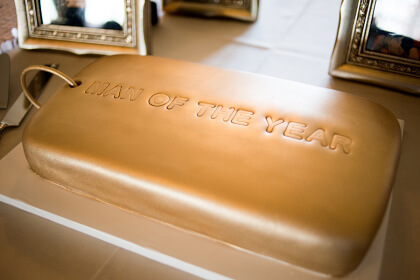 Lauren surprised Kevin with a special groom’s cake designed by Madison’s on Main modeled after a keychain that his beloved grandparents had given him years ago. 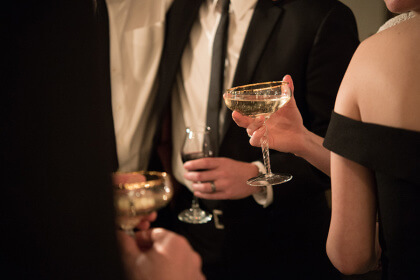 Guests enjoyed delicious food and libations while dancing the night away. 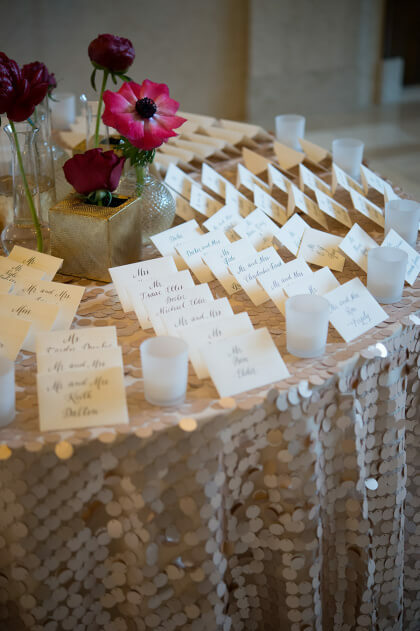 At the end of the evening, guests indulged with coffee and custom French macarons created by Lauren’s best friend, Erin Hazelwood.